An Ugly Duckling In Your Mouth? Do you have a damaged tooth that causes you embarrassment? Even if all of your other teeth are nicely shaped and pearly white, guess what other people notice? Yep, the ugly duckling. 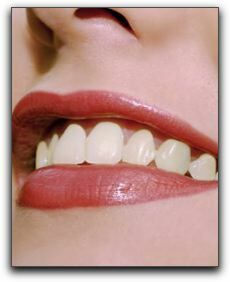 You have probably experienced that yourself when you have looked at a smile that contains one discolored tooth. No matter how hard you try, the unsightly one is impossible to ignore. A beautiful smile is an important component of your overall appearance. Unattractive teeth draw the eye away from other pleasing features such as thick shiny hair, gorgeous eyes or a peaches and cream complexion. Fortunately, there are several cosmetic dental procedures to restore or repair one or more teeth. At Koch Park Dental – Martin L. Buchheit, DDS in Florissant, we can complete most of them in one short visit. Think about it; you could achieve a stunning smile in less than an afternoon! Dental bonding is an affordable cosmetic dentistry procedure. We use dental bonding in a variety of applications. In addition to repairing damage, dental bonding can close gaps between teeth. Porcelain veneers are another minimally invasive cosmetic remedy. Like cosmetic dental bonding, veneers correct chips, cracks and improve tooth shape. What if your problem is not an unattractive tooth but a missing tooth? Don’t despair, a beautiful smile is still possible with dental implants. For more information about veneers, bonding, implants and other cosmetic dentistry procedures, call Koch Park Dental – Martin L. Buchheit, DDS at 314-837-7744. We are conveniently located at 2149 Charbonier Rd in Florissant. We provide advanced dentistry for patients in Chesterfield, Maryland Heights and the surrounding areas.